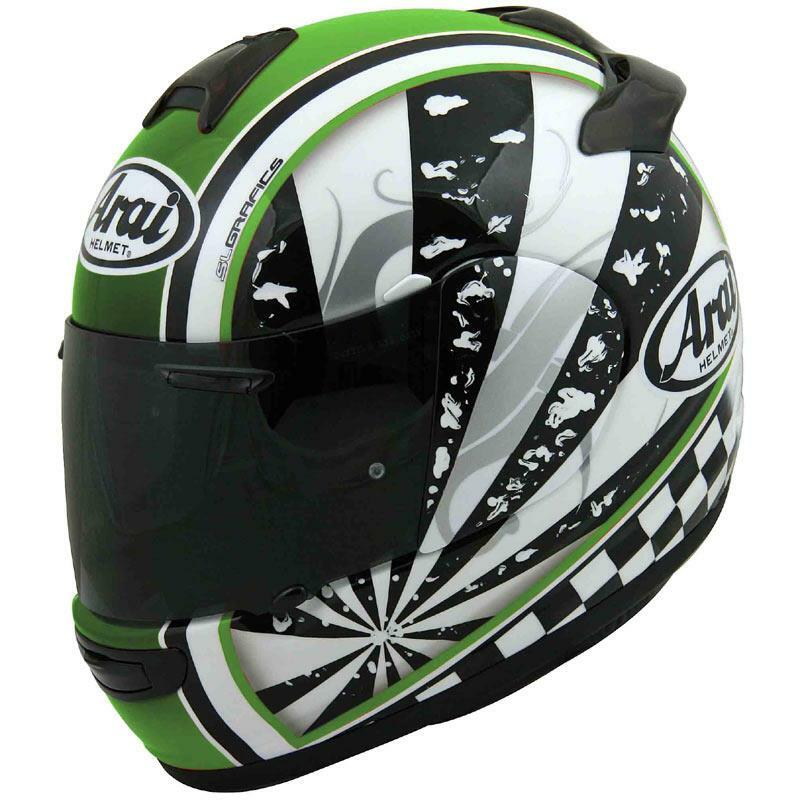 Arai launches its 2011 range at the Cologne show today, and as well as the mouthwatering carbon RX-7 RC and entry-level Axces that we’ve already shown you in recent months, there is a new mid-price Chaser V to replace the current Chaser. Essentially a heavily updated version of the popular Chaser lid, the Chaser V gets Arai’s new, wider visor aperture. There’s also what Arai claim is a “significantly improved, modified ventilation system”. The large rear vent now creates a claimed 50% higher vacuum, said to noticeably improve the ventilation. There are larger side vents, too. The shape of the interior has been improved to better follow the lines of the head, claiming to prevent pressure points while offering a tight, yet comfortable fit. It costs £409.99 (designs) or £349.99 (plain).